Exporter of a wide range of products which include 4130 aisi 4130 sae 4130 alloy steel 4130 chromoly 4130 pipe. Jayant Impex can offer 4130 Pipe AISI 4130 SAE 4130 Alloy steel 4130 Chromoly 4130, 4130 Seamless Pipes, 4130 Chromoly Pipes, Alloy Steel 4130 Pipe. Client can avail smaller quantities of 4130 Pipe AISI 4130 SAE 4130 Alloy steel 4130 Chromoly 4130, 4130 Seamless Pipes, 4130 Chromoly Pipes, Alloy Steel 4130 Pipe online at premium cost. 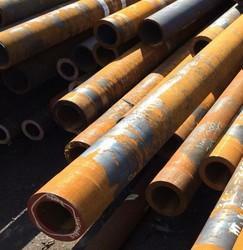 Looking for 4130 Steel Pipe ?